Typo: you mean "sate Padang daging sapi". The Minang do not eat babi. Thanks for explaining the sauce. That first picture is truly gorgeous. I am assuming that the blue and white tablecloth is vinyl or plastic-but it looks great! Ah yes, those Indonesians and their wonderful kerupuk! Oops! Thanks for the heads up. Chalk it up to late-night RE-posting (lost the first when electricity fizzled). Yes, the tablecloth is plastic, but it makes a beautiful backdrop, don't you think? 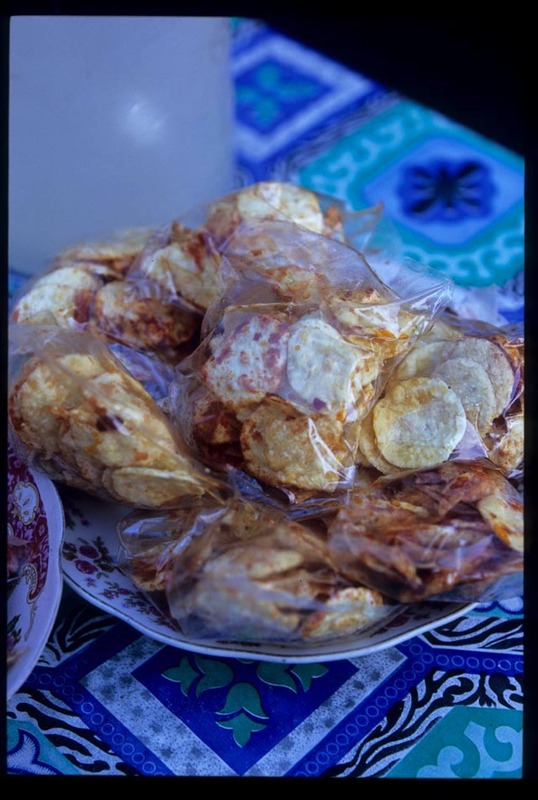 Kerupuk, kerupuk, the Indonesians are masters when it comes to cracker-snacks! Served on newspapers? Makes me salivate, tho! Yeah, nothing like old newspaper! Fish and chips, hamburgers, hotdogs, fries...it used to be the wrapper of choice for street food! I've always enjoyed your blog. The food looks so good! I miss real Malaysian food. tummythoz adn RST - not for serving, just for resting while it awaits customers. Think noodlepie had an ode a while back to the days when fish and chips could be served in newspaper without inviting the wrath of public health inspectors. Ben - thanks, we'll never turn down a compliment! Glad you enjoy the photos. I have just come back to New York from a vacation i took in Medan. And we went to the "kota" and enjoyed some delicious sate padang. But I am glad to know that the same authenicity (and i mean authentic) can be found in a small padang restaurant in Queens, New York. 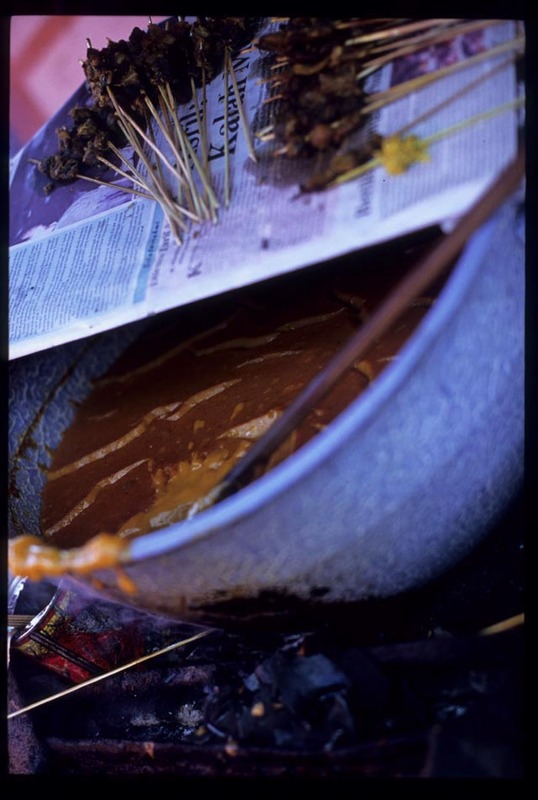 A different flavour of Sate Padang comes drom turmeric leaves. I miss that sate. I should plant turmeric here to get the leaves. Rahasia Mengambil Uang di ATM Tanpa Mengurangi Saldo Awal ! I read somewhere there are Sate Pariaman, Sate Padang Panjang and Sate Padang. 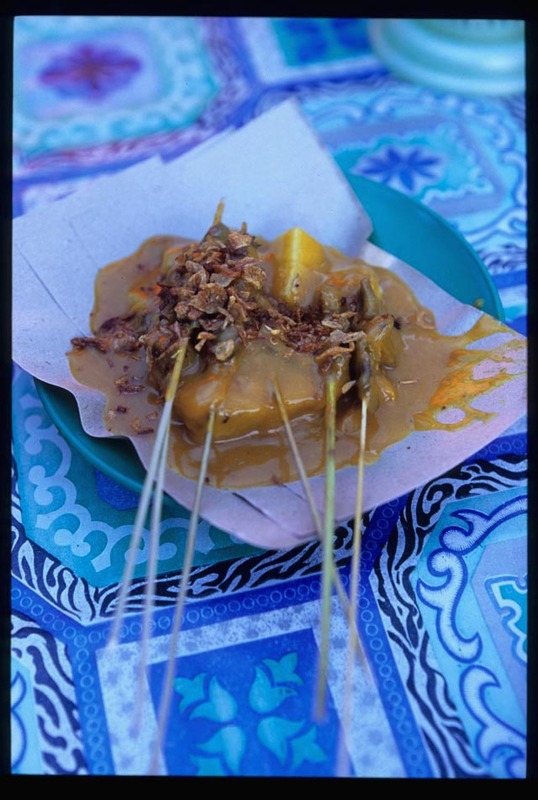 Sate Padang Panjang is the one with yellow sauce, Sate Pariaman using red sauce meaning more chilies so more spicy. 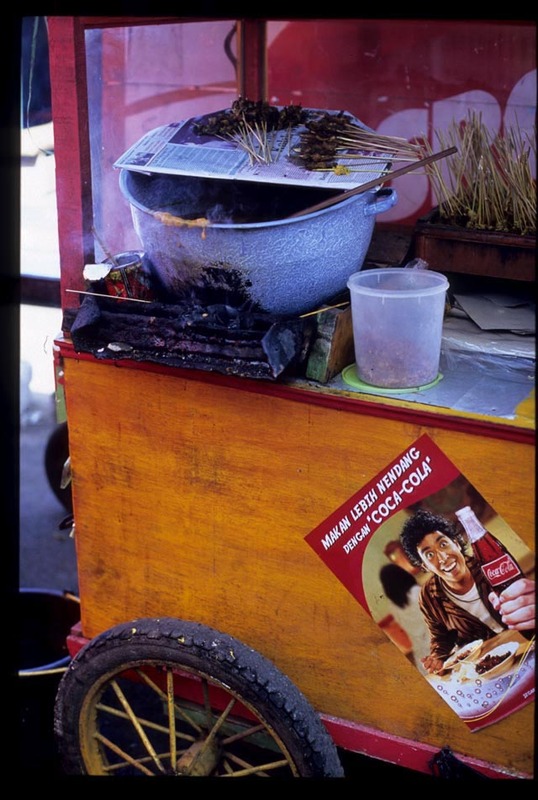 And Sate Padang is the combine of Padang Panjang style with Pariaman.